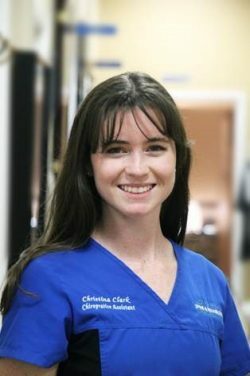 Christina is one of the newest members to join the Long Beach Spine and Rehabilitation Health Center. She recently earned her Bachelor’s Degree in Kinesiology at Biola University in La Mirada, CA. Her education emphasis is in Exercise Science and Health Promotion. She is an active weight lifter and enjoys spending time outside. In 2018, she eagerly joined our staff ready to utilize her knowledge and share her passion for helping others live healthier, happier lives.